You've probably been there before, your driving down a quiet street in your neighborhood or scrolling through new listings on a local realtor's website and you stumble upon "The House," the kind of house that grabs your attention right from the start. 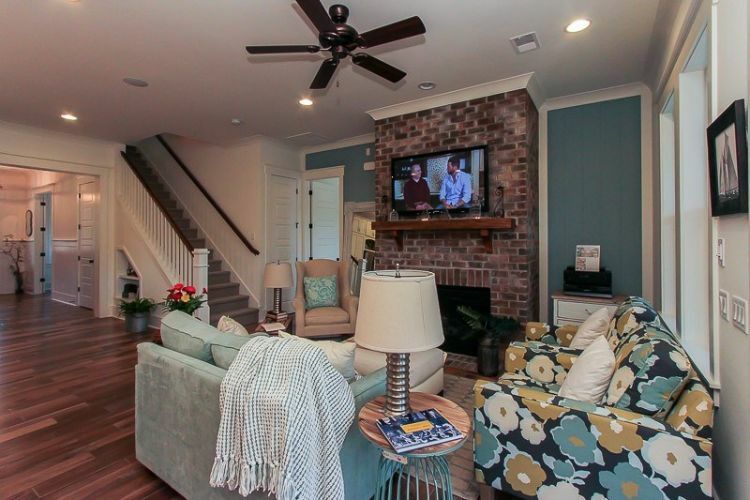 Well, this classic farmhouse, designated "The Ballenger," available through David Weekley Homes, is just one of those homes. For those who love the look of a country home, this residence hits the nail on the head. 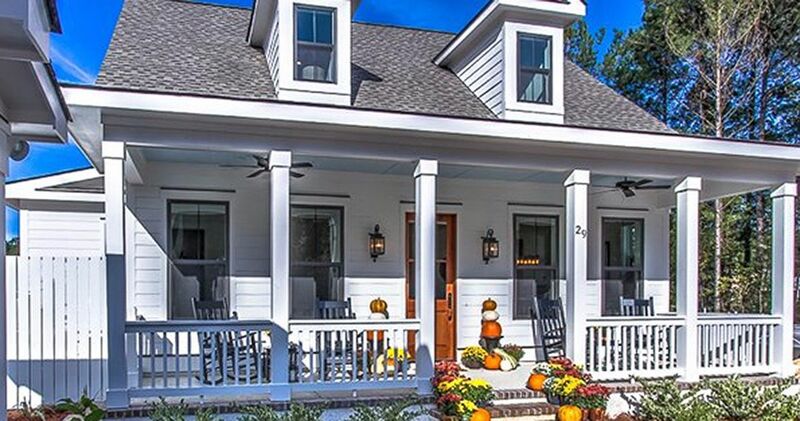 The exterior boasts a spacious front porch complete with sturdy columns and coordinating white railing. The interior of the home is comfortable and roomy with 2000+ square feet of living space, including four bedrooms and three full baths. An open concept living area allows homeowners to entertain, as well as work in the kitchen without feeling separate from the festivities. 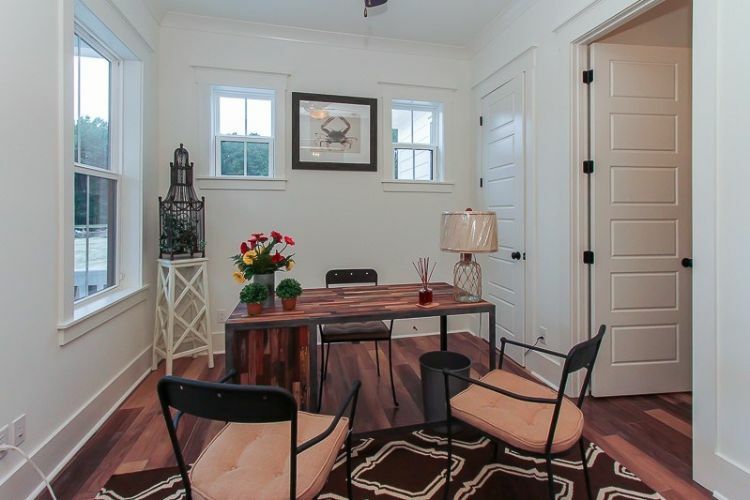 A dining area located at the front of the home, offers options for formal dinner parties. Numerous windows throughout the home fill the interior with plenty of natural light, even in the bedrooms. Features like hardwood flooring, a custom kitchen and a cozy fireplace add the finishing touches to this well-designed home. Take a look at the pictures below to get an idea of how this contemporary farmhouse could work for you. 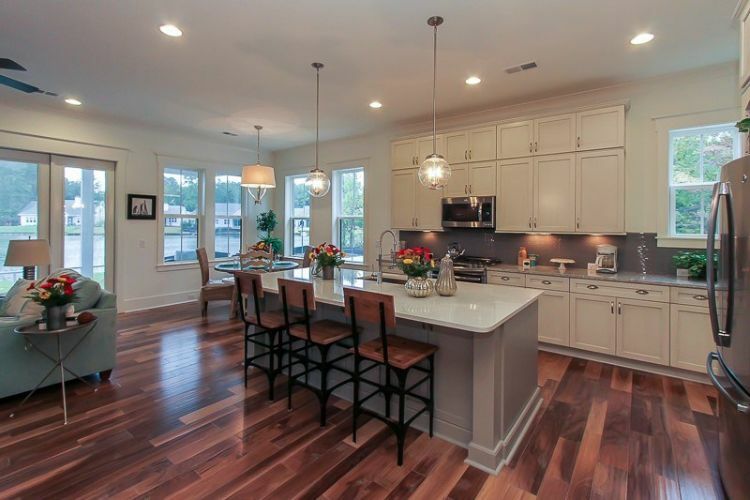 A spacious white kitchen allows family and friends to mingle and visit around the central island. 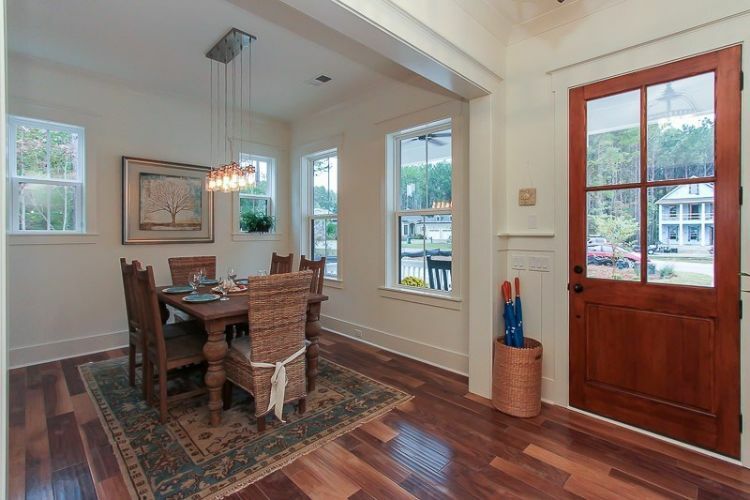 Located at the front of the home, a formal dining area provides a space for quiet evening meals. A traditional fireplace provides warmth and creates an inviting atmosphere in the open concept living area of the home. The master bedroom offers a view of the lake outside from the large windows. 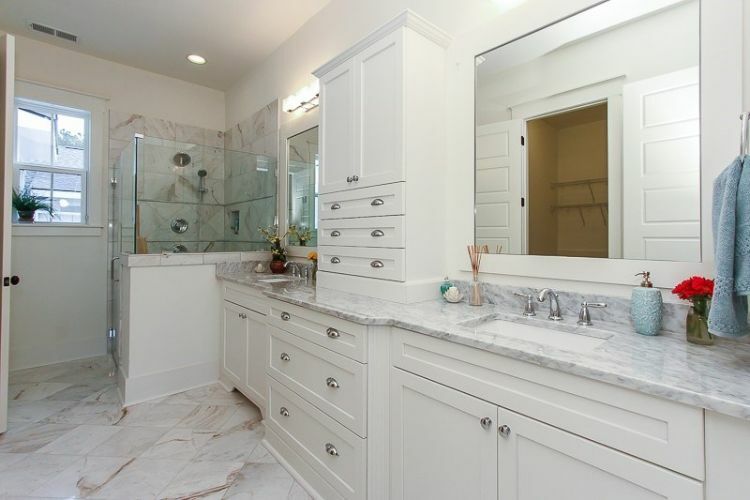 It's easy to keep this bathroom clean and organized with its upper and lower closed cabinetry options. Finally, an office space or optional bedroom is available on the first floor bedroom. Are you thinking of building a new home with a traditional farmhouse appeal? Share this article with your friends on Facebook and start discussing options.